So if you've ever had a face to face conversation with me, it probably took me about 5 seconds to mention my obsession with Michael Buble. My iPod has every single MB song (live versions included) and I could set them on repeat the rest of my life and die happy (Jon and I also have a love for anything Frank Sinatra considering about 75% of Buble's songs are Sinatra originals!). 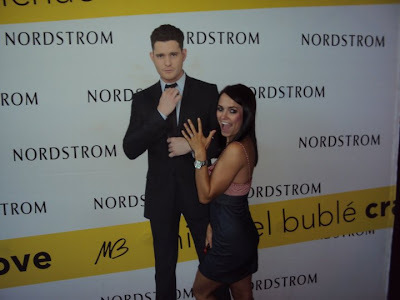 Our first dance at our wedding was Michael Buble's You and I, so you can imagine I was pretty psyched when I saw that Mr. Buble would be gracing Austin with his presence on June 1st. Last February I found out that MB would be playing in San Antonio in July and told Jon I wanted to go (yep we plan months in advance, but those tickets go fast!) and lo and behold, he had already bought me tickets for Valentine's Day. 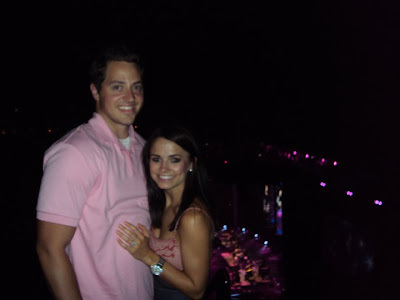 The concert ended up being on our 1 year anniversary of dating and Jon had proposed just 2 days before, it was a blast! We had terrible seats in the nosebleed section (and not to mention we were the only people under the age of 55 at the concert) but it was by far the BEST show either of us had been to! Buble is full of personality and had the crowd laughing the whole time. He is just as good live as he is on cd! Even though we paid an arm and a leg for awful seats, we promised each other we would see Michael Buble anytime he toured anywhere near home. My plan was to surprise Jon with tickets for his birthday in 2 weeks so I snagged 2 when they went on sale last Friday. I have been all smiles since buying the tickets, especially when we jammed out to MB this weekend and Jon had no idea we would be seeing him again! I am usually really bad at keeping surprises from Jon, I somehow always spill the beans about what I got him for Christmas or his birthday but I was going to keep this one to myself! Last night we were relaxing on the sofa after dinner when Jon said he got an email about Michael coming to Austin this summer. I have the worst poker face so I just looked down at my phone and said "yeah, great, look at the tickets, I bet they are sold out or something." Jon took that statement literally and pretty much whipped out his computer on the spot to look up tickets and that's when I had to let him in on his surprise. His birthday is 2 weeks from last night so what's a few days early? He was SO excited when I told him I had already bought the tickets and was all smiles the rest of the night. Luckily, I have a few other tricks up my sleeve for his birthday but was kind of bummed I didn't get to keep the surprise! It's hard to keep a secret when you live with someone and share the same bank account! 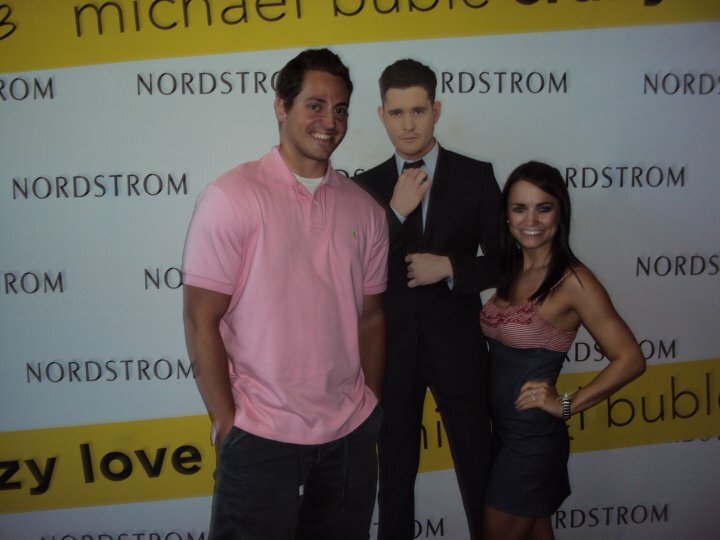 So the countdown begins.....64 days until Michael Buble!! I love love love love love MB too! He's one of my favorites!